Like I mentioned earlier, I've recently acquired two great Kate Spade items from a Gilt sale a few weeks ago. I'm all about my tech and accessories to go with them. 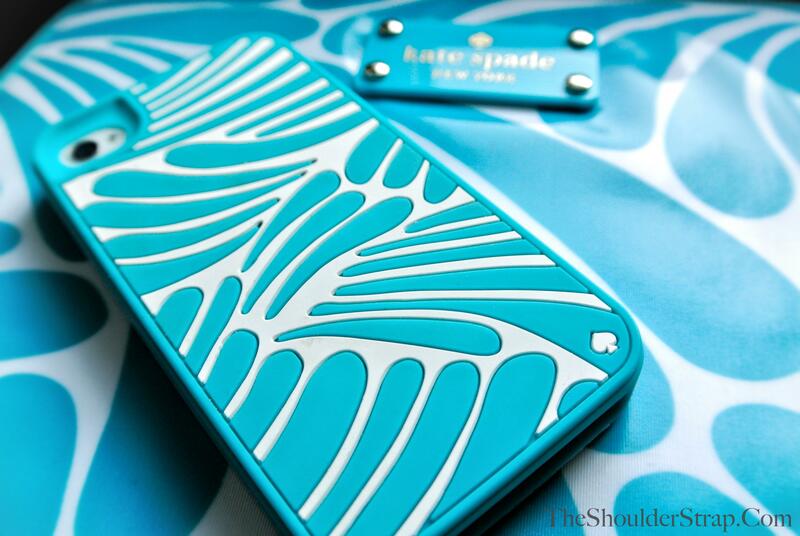 I change my phone and iPad cases very often, so I'm always looking for the next best thing! In an effort to coordinate my iPad and iPhone (something that never seems to happen with me), I found these great, summery cases, which I'm all too excited to include in my bag. The Florence Broadhurst "Fingers" design is fun and reminds me fondly of island decor. I'm loving the iPad sleeve since it's large enough that I can also have my Apple SmartCover on my iPad to protect the screen. It fits comfortably and really provides a lot of cushion for the tablet. Also, the iPad sleeve is awesome because of the material used. The sleeve can easily be cleaned if something spills on it; something I really like! As far my experience with the iPhone case, it's really stylish, but obviously because of its material (a rubber case) is a magnet for dust, makeup, and food. I've only used the iPhone case for a little over a week, and it's already really collecting makeup and other dirt on it. I'm planning on cleaning it soon, but as I've had this experience with other cases, I'm not sure if it will completely come off. Nevertheless, it's one of the better cases I own that is both resilient in its protection and stylish. How often do you switch your cases for your phone or tablet?